Professore Ordinario (Full Professor) in “Bilancio e principi contabili" (Financial Reporting and Accounting Standards) at the University of Pisa. Phd in “Economia Aziendale” (Business Administration). Director of the Phd Program in “Economia Aziendale & Management” (jointly run by the Universities of Pisa, Florence and Sienna). Director of the Master (Ms) in “Chief Financial Officer (CFO)” run by the University of Pisa in partnership with the Italian Association of CFOs (ANDAF). 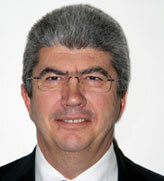 Chairman of the International Master in Business Administration (MBA) at the University of Pisa. Member of the working group of the Italian Accounting Standard Setter - OIC (Organismo Italiano di Contabilità) - on IAS/IFRS. Member of the working group on “Financial Reporting” and on “Compliance and Corporate Governance” of the Italian Association of CFOs (ANDAF). Co‐editor of the “Journal of Management and Governance” and member of the editorial board of many other journals. Conference Board Member of the “European Academic Conference on Internal Auditing and Corporate Governance”. Chairman/Member of the Collegio Sindacale (Statutory Auditing Board) and Organismo di Vigilanza (Supervising Committee) in a few Italian companies. Chartered Accountant and chartered auditor. 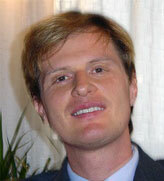 Professor PIERGIORGIO VALENTE is a Certified Tax Advisor and Auditor under Italian Law. 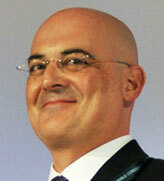 He is the Founding and Managing Partner of Valente Associati GEB Partners. He is Chairman of the Fiscal Committee of the Confédération Fiscale Européenne (CFE), Chairman of the International Tax Committee of the International Association of Financial Executives Institutes (IAFEI), and Vice Chairman of the Taxation and Fiscal Policy Committee of the BIAC (Business and Industry Advisory Committee to the OECD). Professor Valente is Professor of EU Tax Law as well as Tax Planning and Transfer Pricing at the Link Campus University in Rome, Full Professor of EU and Supranational Taxation at the Advanced Course for the Tax Police of the Revenue Guard Corps (Guardia di Finanza), and Taxation of Multinational Enterprises Lecturer at the “Jean Monnet” School of the Second University of Studies in Naples. Trustee, Center for Research and Communication Foundation, Inc.
President & CEO of BPI-Philam Life Assurance Corp.
President - Citicorp Securities, International, Inc., Citibank N.A. Vice-President - Private Banking Group, Citibank N.A. 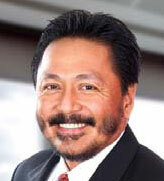 Vice-President & Business Head - Financial Institutions Group, Citibank N.A. Vice-President & Compliance Officer - Risk Management Group, Citibank N.A. FRÉDÉRIC DOCHE is administrator of DFCG (French CFO and Management Controllers Association), chairman of the DFCG Management Control Committee, vice president of DFCG International. He is leading the IAFEI International Observatory of Management Control Committee. Frederic Doche is CEO and founder of Decision Performance Conseil. He has been working for more than 25 years in industry and consulting. Decision Performance Conseil is specialized in Corporate Performance management, Process improvment and Risk management and IS performance, and is based in Paris and Hong Kong. Frederic Doche has been partner with PricewaterhouseCoopers, in charge of Business Intelligence and CRM Analytics practice at EMEA level (Europe, Middle-East, Africa). He has been managing assignments for a lot of large companies in various industry sectors. Prior to consulting role, Frederic Doche has been working in industry and banking sectors, mainly in process improvment and IT management. Frederic Doche has delivered numerous conferences internationally, mainly as a speaker, and also as a moderator. He has written a lot of articles about Corporate Performance Management, Management control, Businness Intelligence, CRM Analytics. He also teaches several master classes on Finance and project management. Frederic is also vice president of Centrale Paris alumni association. 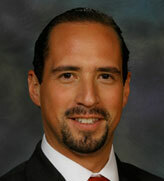 Mexican Lawyer - obtained his title at the ANAHUAC University in Mexico City with honors to professional thesis. LL.M at the University of Florida with major degree in Government Spending and Corporate Tax. Postgraduate studies at University of Salamanca, Spain on international taxation. Postgraduate on Risk Audit and Management at University of Comillas, Spain in Madrid. Luis has participated in representation of civil society with Mexican Government on OECD in situ visits to his country and Anticorruption Training for Mexican Companies. He has represented Mexico before the Organization for American States (OAS) on anti-corruption matters affecting Civil Society in Cali, Colombia. He is a member of the working group on along with the Barreau du Quebec, Canadian Ministry of Justice and Mexican Ministry of Government on building an Ethics Code for Lawyers and a Sanctioning System. He writes on high end specialized newspapers on 2 economy and finance as well as anti-corruption blogs and has recently co-authored the newest book on Corporate Social Responsibility Method “MORSI” Method. He is head of the National Anti-corruption Committee of National Corporate Lawyers Association (ANADE). He is President of the Ethics and CSR Committee Mexican Financial Executives Institute – IMEF among other associations where he leads the Anti-corruption Committee. Currently, Luis gives legal advise to multinationals and Mexican companies seeking full compliance on anti-corruption, anti Money Laundering and leads investigations and assessments in Mexico, Central and Southamerica with his law firm OCA LAW FIRM.